Welcome to our steakhouse! 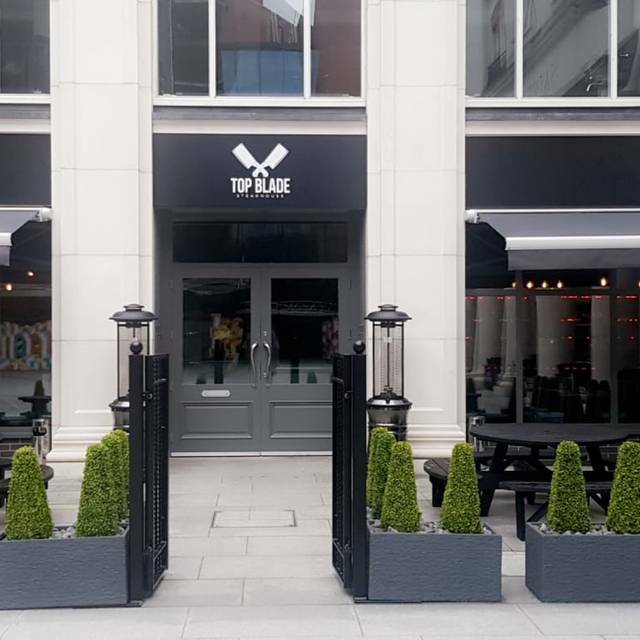 Top Blade is a restaurant specialising in flat iron steak, we pride ourselves in being a much more affordable and accessible steak eatery. 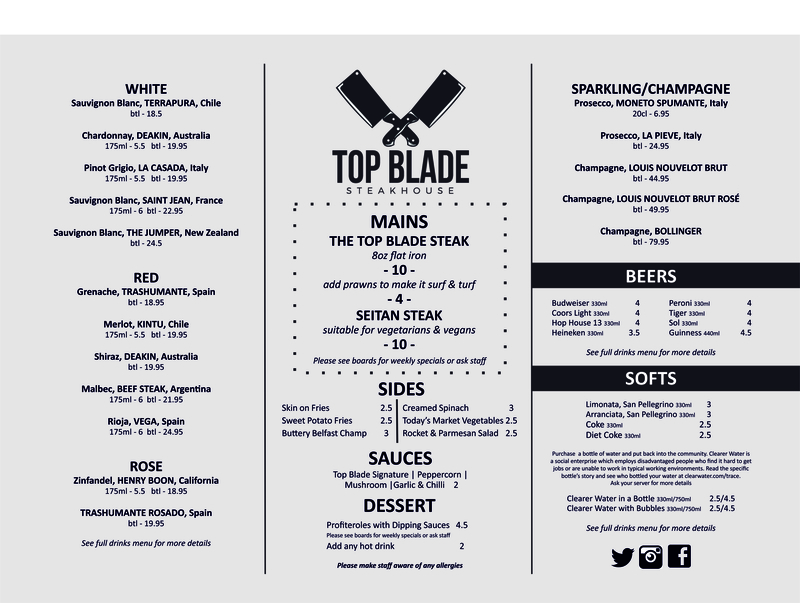 As well as the mouth-watering steak, Top Blade offers a delicious selection of sides, including buttery champ, sweet potato fries, market greens and a wide range of sauces. 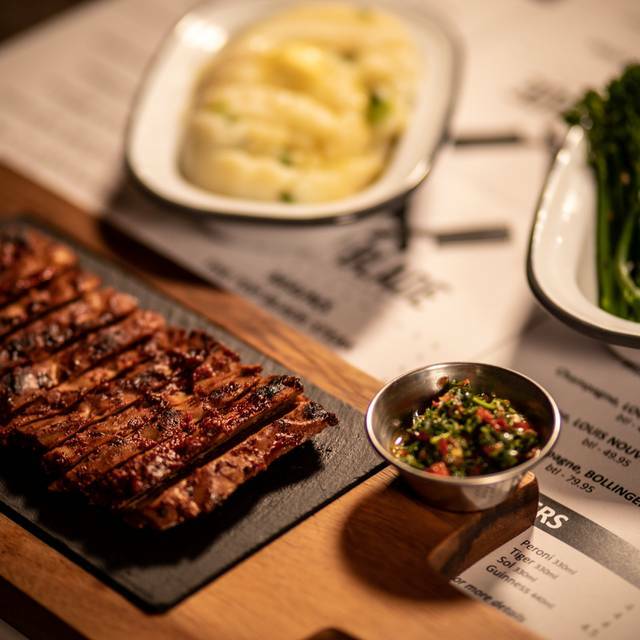 Vegan customers can avail of the speciality seitan steak as well as vegan friendly side options. 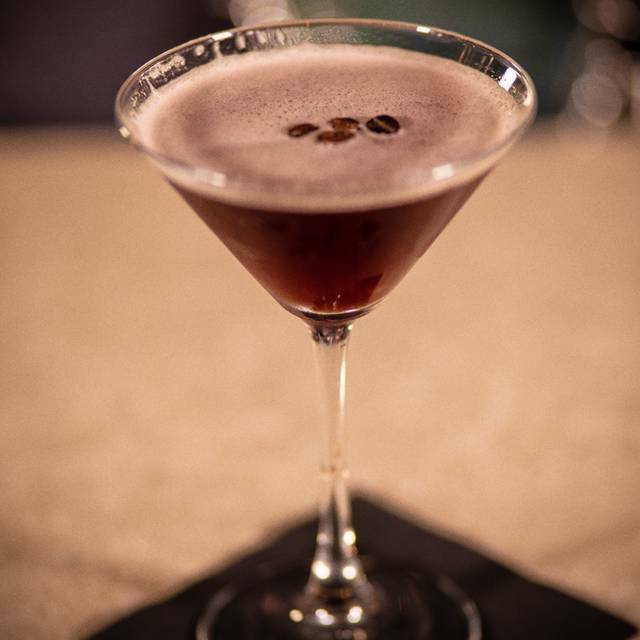 We also have an exciting drinks menu with bespoke cocktails, a tasty wine menu as well as a tailored selection of beers and spirits. Definitely be back - great evening. First Class. Higly recommended. Will be back very soon. Great all round! Food, decor, atmosphere and staff were all fantastic. Great food, service and atmosphere. Will definitely return. Really impressed with the Seitan steak. My boyfriend, who is vegan, was delighted to finally find a restaurant that could fully accommodate and not make him feel awkward! Popcorn on the tables is a nice touch, lighting and music made for the perfect setting and it wasn't overcrowded. Both sirloin and Seitan steaks were cooked perfectly and we had a really nice meal. I booked here for date night and a miii celebration of my other half passing a job interview. We are early so the service was super quick and the staff were really lovely and helpful. The food was simple but delicious. 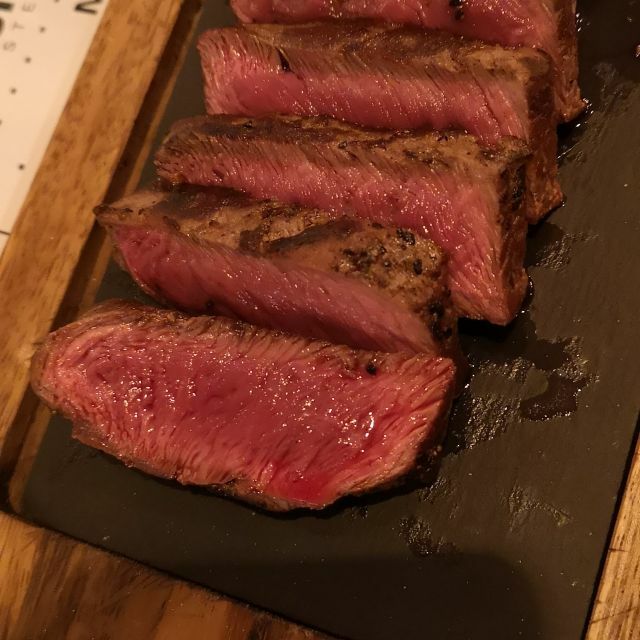 Honestly, the nicest steak I’ve eaten in Belfast! A Lovely meal and beautifully presented. Perfect location in St Anne's Sq. Fast friendly but non intrusive service. Excellent steaks and very good value for money. We attended as a party of 3. We received excellent service and the steak was really well cooked. The price is very competitive for the area of Belfast and I will definitely return to this restaurant in the future. Amazing food, great service only negative felt a bit cramped as tables where quite close together. 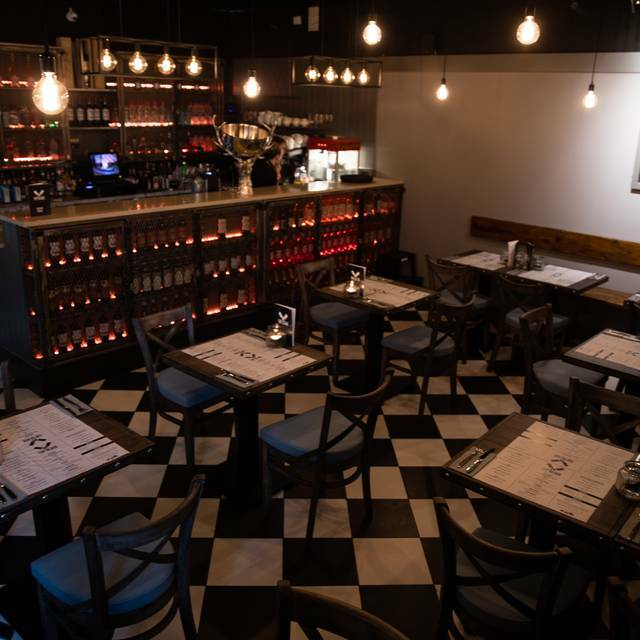 The service was fantastic and the meal overall was great value. Steak was perfectly cooked - it could have been slightly warmer but nothing that took away from the overall experience. Great staff, good value, amazing food can't wait to go back. Couldn't fault the food or service however after our meal we were still enjoying our cocktails when we were told they needed the table and could we move over to the drinks area which ia extremley small amd had other people sitting at it. I asked was there a time limit or the table and was told it was an hour and half although this was never stated when booking. Also we had friends ring in the same night and they still had there table 2hr later and were never asked to move. Was very disappointed as apart from this it was perfect. It definitely put a dampner on our evening. Good food with friendly staff. However the complete failure to mention how expensive the bottomless Prosecco and beer meant a shock when paying the bill. Disappointing ending to a good evening. Steak was cooked to perfection! Great value, fantastic wine and lovely meal!! Food was very good, steak was just a bit cold but everything else was perfect especially the profiteroles, they were amazing! The restaurant wasn’t packed just a hand full of people, the service was too quick, as we only arrived and were asked to order without looking at the menu and after our dinner we ordered dessert and it came straight away, no time to relax in between courses. But apart from that it was a very great meal and I would definitely go back! Finally a restaurant in the heart of Belfast city centre selling superb quality food, that isn’t overpriced. The steak was to die for and everything else was amazing. Would definitely go back and have already told many friends about this restaurant. My daughter and I had the most wonderful experience at Top Blade. We booked a table for 2 and were very fortunate to secure a table here for a Saturday night. We had Mojitos🍸FABULOUS!! We both had Flat Iron Steaks 🥩 which were both cooked to PERFECTION👌🏽(Med/Rare). The sweet potato fries were delicious and the Wine List offered a great selection. We both had Profiteroles...they were delicious and A MUST! I, unfortunately didn’t catch the lovely greeter’s name (she was cheerful, helpful and such a pleasant first point impression) Our server ‘Molly’ was so pleasant and made us feel special. 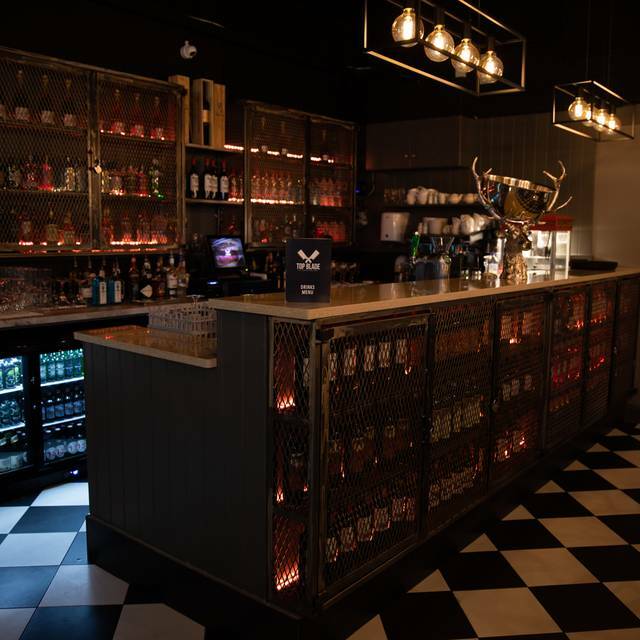 Overall, Top Blade has left us with a positive impression of a young, vibrant and classy establishment! I look forward to returning here again. The main course was lovely, steak cooked to perfection - I added the prawns to make it a surf'n'turf, which were also really tasty. If I were to be critical in anyway, the menu could have a few more options. 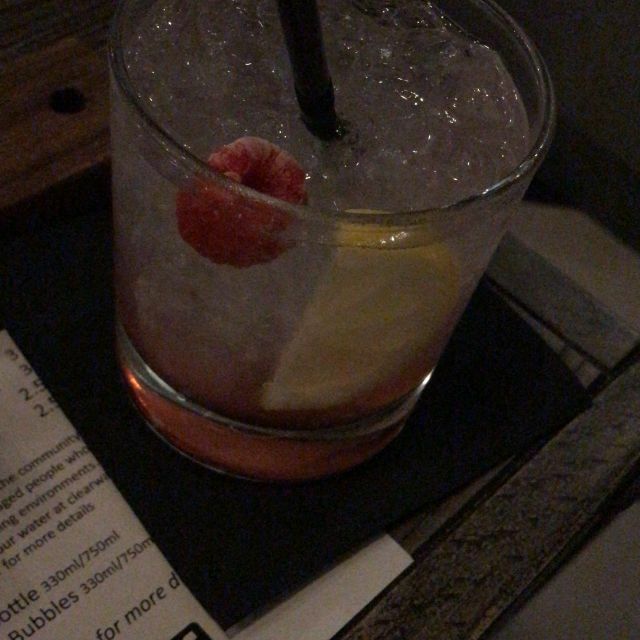 Great service, disappointing over priced food & cocktails. Amazing food! A real gem, would recommend to anyone! Lovely food, ambience, cocktails and service. Went for our anniversary and had a great time. The service was very good however the table was so small all our items couldn't fit it. The steak came on a platter and was good but the sides were mediocre. Booking was easy and service was good but food was nothing special. Food was cold ! and when this was pointed out we got very little feed back or an answer to why. Bill cam up over chargers by £40. which needed to pointed out as well. All this when there were only 3 tables in use. 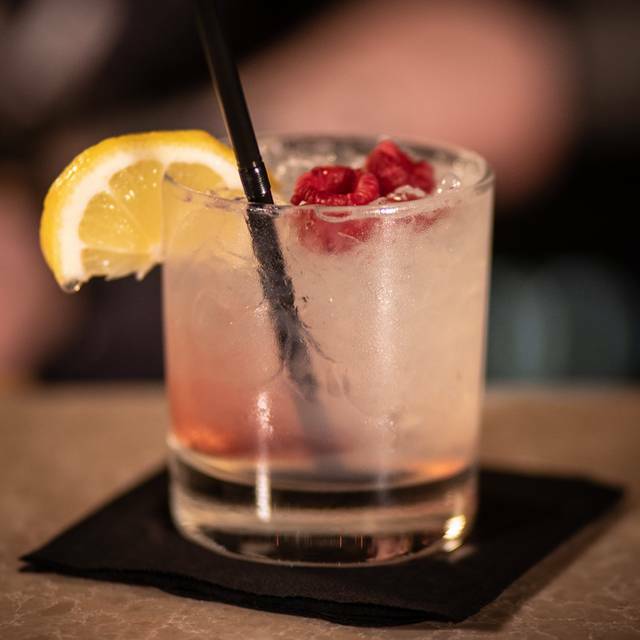 I went with my girlfriend on Friday night and I have to admit that my experience in the restaurant was brilliant, everything was perfect and I thoroughly enjoyed every minute of it, I will be back 100%! My new favourite restaurant. Great food and great service for a very reasonable price. Genuinely one of the most disgusting meals I’ve had in Belfast in a very long time. Bitterly disappointed. Have told at least 15 people today alone to avoid at all costs. Waste of money and ruined what should have been a great Christmas night out with friends. Not bad! We found the menu very limited, I realise it's a steakhouse but maybe there could be another option apart from red meat. 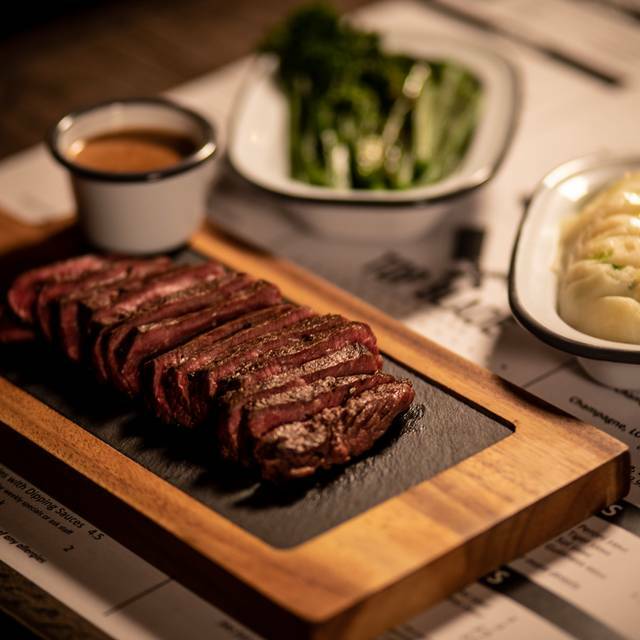 good first visit-enjoyed the flat iron steak-tasty sauces and sides.I liked the lemon meringue dessert too.good concept.companion had the fillet with top blade signature sauce which also was v good.malbec wasnt too heavy and complimented the meat.